Welcome to Ho Chi Minh City! Our driver will pick you up at the airport, transfer to Ho Chi Minh City center. Our tour guide and driver will pick you up at your hotel. Begin your new trip with the city center. In the heart of Ho Chi Minh City, visit Reunification Palace (outside) – Notre-Dame Cathedral – Center Post Office – Opera House (outside) – City Hall (outside). Ho Chi Minh City afternoon tour: The tour is back to Old Saigon with the tour to Cholon area also known as China Town, where you can find they sell everything in the huge area surrounding with the most competitive price as wholesaler and Oriental Medicine Street. Next, visit Lady Thien Hau Pagoda, typical Chinese pagoda in China Town, Ho Thi Ky flower market. Then finishing with Ben Thanh Market – one of the most famous market in Ho Chi Minh City. Exploring Nguyen Hue Walking Street and Mong Eiffel Bridge with the overlooking of Saigon River and city center. Transfer to your hotel around 18h. Overnight at hotel in Ho Chi Minh City. 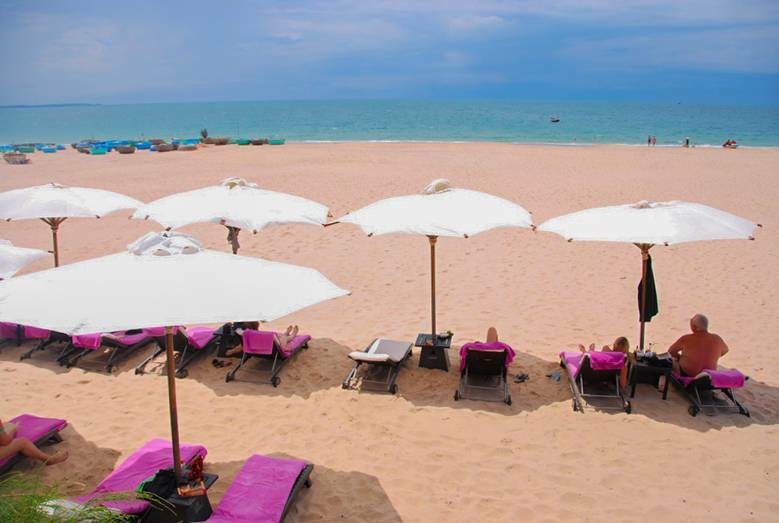 Although there are a lot of Mui Ne resort is located close together around the old fishing Mui Ne village, authorities have always tried to maintain the beauty of the nature inherent of Mui Ne. Overnight at beach resort in Mui Ne. Enjoy the full day tour in Mui Ne features in the morning of Mui Ne Fishing Village, White Sand Dune, Red Sand Dune, Red Spring. Back to Phan Thiet to visit Poshanu Tower before back to your resort. Overnight at hotel in resort in Muine. After breakfast, transfer to Ho Chi Minh City. Visit Cu Chi Tunnel tour is famous because you can experience yourself in the area of old real battlefield, you will have chance to explore a part of 200 kilometer network of underground tunnels, with was used by the Viet Cong to fight against both French and Americans war. Now, Cu Chi Tunnel is open widely for tourist to come and enjoy the atmosphere of its jungle. Overnight at hotel in Ho Chi Minh City. Free at leisure for shopping or relax in Ho Chi Minh City. Transfer to the airport for departure. End of service.